In 1989, Rose Garden Flowers & Gifts opened its doors for the first time to the public. Since then, this family-owned shop has grown to become one of the best flower shops in St. Petersburg. 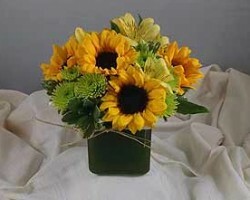 The shop is committed to providing clients with the finest floral arrangements at competitive prices. 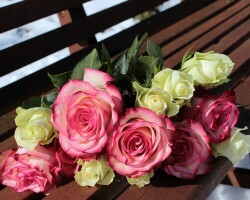 Also, its dedicated and professional staff members are committed to enhancing each client’s flower delivery experience. The shop handles flowers delivery in St. Petersburg and the greater Tampa bay area. For the last 18 years. Petal Heaven, a family owned floral business, has been providing residents of St Petersburg with high-quality floral arrangements and fresh flowers. Specializing in custom flower arrangements and floral gifts, Petal Heaven has helped many couples bring glamor and color to their wedding venues. This flower shop offers its services at competitive prices and can deliver flowers to almost any part of Florida. Also, this flower shop offers clients with messages to go with their flowers. This St Petersburg-based flower shop lives up to its name by offering beautiful floral arrangements for different occasions. 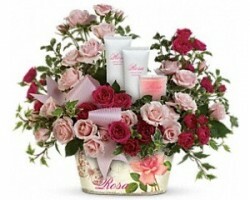 The shop has a creative and artistic team of florists that are the core of the successful shop. This St. Petersburg florist business takes a caring approach to service delivery. Thus, clients also enjoy 24/7 emergency services. For weddings and other special occasions, Absolutely Flowers is always available to deliver the required floral arrangements. Wonderland Floral art and Gift Loft is a floral design studio operated by some of the best florists in St Petersburg, FL. 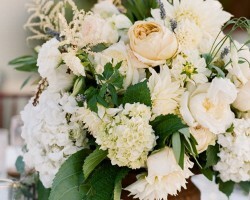 This unique floral studio has a vast array of unique floral arrangements for clients to choose from. Also, the studio delivers wedding flowers to weddings throughout St Petersburg. With a vast collection of exotic flowers, Wonderland Floral art and gift loft has emerged as the number one source of beautifully arrangement flowers in St Petersburg. Despite its local floral studio status, Wonderland Floral art and Gift loft also serves the surrounding areas of St Petersburg. With two locations in Gulfport and St Petersburg, Gulfport florist is another family owned and operated flower shop. A one stop shop for floral arrangements and unique floral gifts, this shop has something for every occasion. 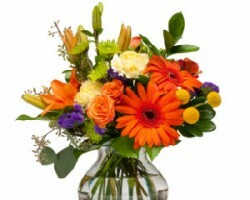 To ensure that its clients are always satisfied, the shop makes flower delivery the same day. Also, it offers 7% loyalty points for all online orders. This means that making online flower orders is extremely easy and affordable with Gulfport Florists. Clients benefit from dedicated customer services and a website dedicated to floral arrangements for weddings.